Eduardo Telles is a Brazilian Jiu Jitsu black belt under Fabio Gurgel and one of the most creative grapplers in the World. 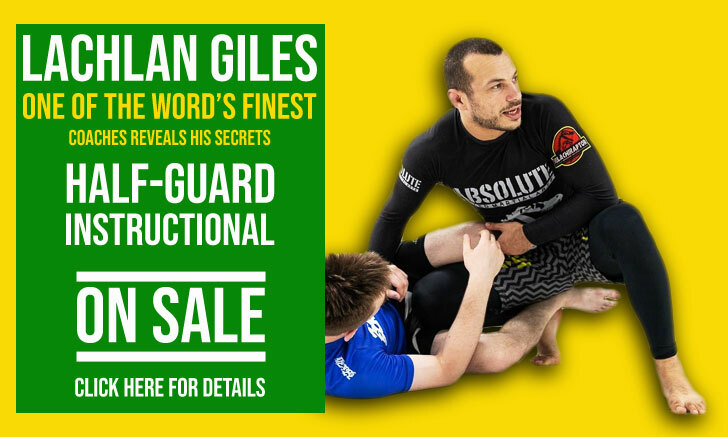 Famed for being a fan of the “Esquijitsu” (a nickname applied to his game which translates to: weird Jiu Jitsu) he created several attacks from the turtle position, a position that was deemed a weaker position by most grapplers before Telles created the turtle guard, revolutionizing what once was defensive ‘go-to’ move. Eduardo Telles also created several trademark setups from a position that became famous as the Octupus Guard. Favourite Position: Turtle Guard, Octopus Guard. Eduardo Telles was born in 1976 in the city of Sao Paulo, Brazil. Telles entered the martial arts world through Karate as a teenager, Jiu Jitsu already existed in Sao Paulo at the time, but the academies were scarce and the first contact Telles had with Jiu Jitsu was when he spent time in Rio de Janeiro, at his father’s home town. The Telles family held a house in Rio around the famous surfing and BJJ spot of Bairro da Tijuca where Eduardo would hear about Jiu Jitsu for the first time. After the first UFC’s started, the Royce Gracie name became famous (he won the first 2 championship events) and Jiu Jitsu boomed in Sao Paulo. 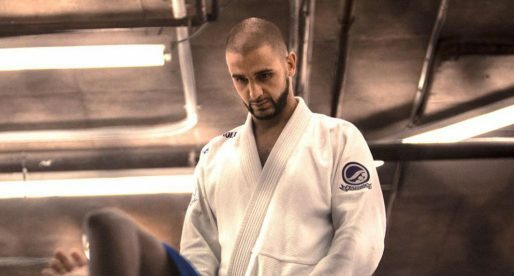 Riding on the Jiu Jitsu wave, the Karate gym where Eduardo Telles trained opened a class for Jiu Jitsu. That was when Telles met his first instructor, Fernando Yamasaki (brother of UFC referee: Mario Yamasaki), with whom he stayed until he received his blue belt. Around the time when he was graded blue belt he moved to San Diego in California and had to stop training. He was in the US to learn English and there he met Carlos Valente, an ‘old school’ Jiu Jitsu black belt who’s family had a long history with the Gracie family. Telles took the oportunity of training with such a prestigious black belt and trained with Valente for the duration of his term in the US. 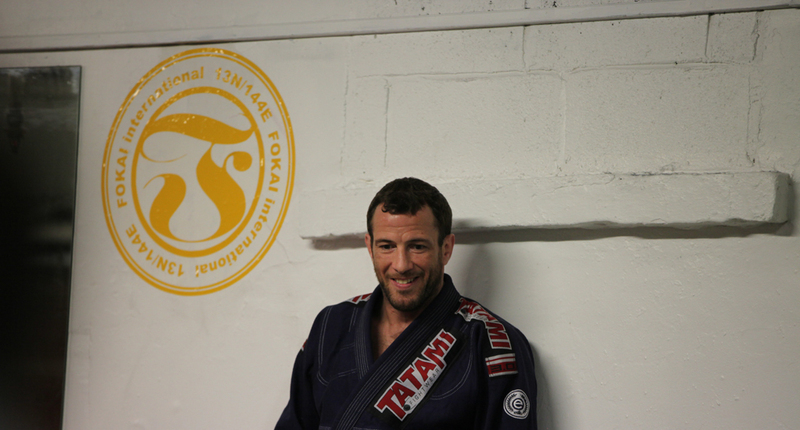 Telles received his purple belt from Mr Valente and then moved back to Sao Paulo. This time he picked up his training at the new Fabio Gurgel gym. At Gurgel’s academy he met Fernando “Terere” with whom he became very good friends, as well as Demian Maia and other Jiu Jitsu personalities who were all training under Mr Gurgel guidance. At the Alliance Head Quarters, Telles’ technique grew heaps and bounds and the close contact with Terere (who was already rapidly turning into a legend of the sport) was one of the reasons for this surge. The Alliance gym also served as a laboratory for Eduardo Telles’s experiments with Jiu Jitsu techniques that he would develop to adapt to his “scrappy” grappling style. He went on to get a Silver Medal in 1999 at the Mundial (World Championship) as a purple belt and a Bronze Medal the following year as a brown belt, and so it came as no surprise when he received his Black Belt the following year. 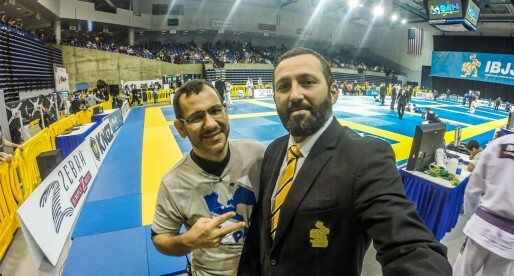 By then Eduardo Telles’s style of fighting started standing out, and many in the BJJ community started branding it “Esquijitsu”, which means something along the lines of “Weird Jiu Jitsu”. This was due to the awkward positions in which Telles would put himself. In 2002 the Alliance Team split and Eduardo Telles followed the path of the dissidents helping to open the Master Team and later the TT Team with his friend Fernando Terere. TT was successful from the get-go with some students showing that the team had tremendous potential, unfortunately by the end of 2004 Fernando Augusto entered his personal struggle with drug dependence and depression, and so the team was terminated. Telles decided to open another academy, this time presided by himself which he called Nine Nine, the meaning behind that name was that 99 is a reference in proximity to the number 100 which means perfection, the goal of Telles. After setting up his academy Telles started his Mixed Martial Arts career (MMA) a quick submission of Rubens Xavier earned him another call to the rings, this time against the experienced and heavy favorite, Gracie Barra’s Rafael “Sapo”. Telles won again in the first round by massive head kick. His first defeat would come from the hands of another fellow jiu jitsu practitioner, the experienced Landro Silva “Batata” from Nova Uniao, this defeat made Telles understand the necessity of joining a professional MMA team, and so he joined the famous X-Gym in Rio de Janeiro, headquarters to the Black House MMA team were some of the best UFC fighters train, people like Anderson Silva, Machida the Nogueira Brothers and many others. How is it going for you? I love odd/creative styles of jiu-jitsu. Telles is a great teacher! Bought the DVD –so much information — very well laid out. Started to use in my game — with success – at least the escapes — working on the subs. Awesome. Esse cara é fora do normal, realmente tive a satisfação de conhecer ele pessoalmente, é um poço de humildade e competência. Chega a ser uma grande lição de vida conviver com uma pessoa assim. He is now teaching in San Diego at LT 99 google it. I train at a 99 gym this guy came in got me from turtle guard this man is a beast!!! 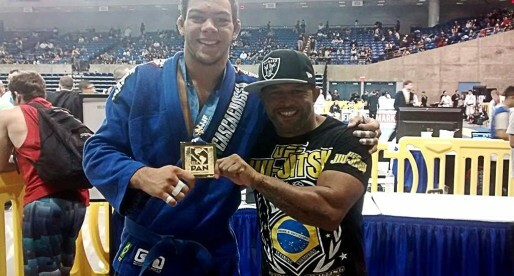 Telles just won the No-Gi Worlds and took Double Silver at the 2013 Pan-Ams. Master Telles changed the way I use my turtle game. Thanks master to expand the turtle jiujitsu theory to the highest level. Eduardo Telles = The most skillfull turtle game on earth.